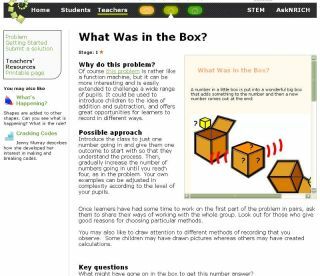 Pros: The site's approach to problem-solving challenges kids to think mathematically, giving them the tools to do so. Cons: Visual presentation needs to better adapt to its audience, with less text and easier "click" targets for younger kids in particular. Bottom Line: It's an excellent classroom companion that can be implemented quickly with little adjustment and a high probability of success.